The new members are Bandera, IFPEN – French Institute of Petroleum Energies nouvelles, Point Plastic, AFA Dispensing, Remondis PET Recycling, CUMAPOL, RETAL Industries, PepsiCo, Mitsubishi Polyester Films, Suntory, Digimarc and Finat. 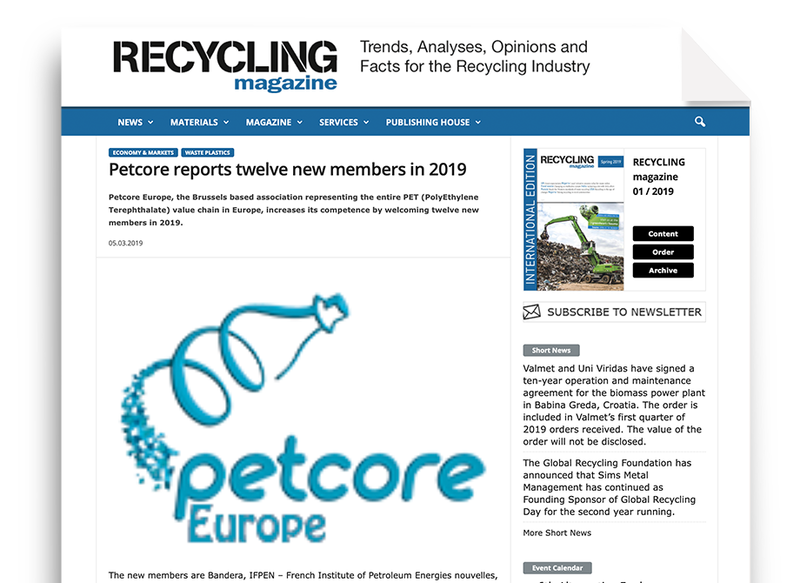 “In the past 15 months Petcore Europe could welcome 29 new members. It is great to see that more and more key players of the value chain want to work together on a circular economy of PET within our association”, outlines Christian Crépet, Executive Director of Petcore Europe. Click here to view the artcile.